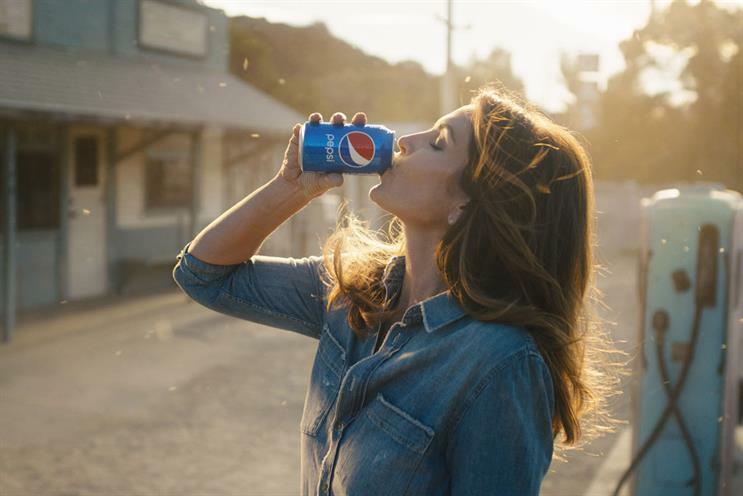 Pepsi is looking to its past as it revives its 1992 TV ad starring supermodel Cindy Crawford, brings back its retro packaging and tours the US with pop-ups about its 120-year history in pop culture. The "Pepsi generations" global campaign kicks off during the Super Bowl in February with a new TV ad called "This is Pepsi" featuring Crawford and her son Presley Gerber. The campaign will run throughout 2018 in 55 markets around the world and include the full Pepsi portfolio including Pepsi, Pepsi Zero Sugar and Diet Pepsi. However, Pepsi said it is not running in the UK. The "Pepsi generations live" activity will also begin its tour during the Super Bowl in Minneapolis with a private performance from country music duo Locash. The pop-up will be open to the public at select times on 2 and 3 February. It will be an exhibition of "pop-culture milestones" in the brand’s history. From 29 January Pepsi is bringing back its vintage packaging for a limited time in selected markets around the world. The brand said that this is the first of a series of limited packs it will introduce in 2018. The 1992 ad "new can" featuring Crawford was created by BBDO. Chad Stubbs, vice president for marketing at Pepsi North America, said: "Since our brand was founded more than a century ago, Pepsi has stood for a youthful spirit and the choice of a new generation. "2018 will be a year to celebrate the past while embracing the future; always reminding consumers to do what they love and have a little fun in their lives." Last year Pepsi faced severe criticism for an ad starring model and TV reality star Kendall Jenner making peace between protestors and the police with a can of the fizzy drink.